This post has been sponsored by Hershey’s + Jet Puffed + Honey Maid. All thoughts and opinions are my own. 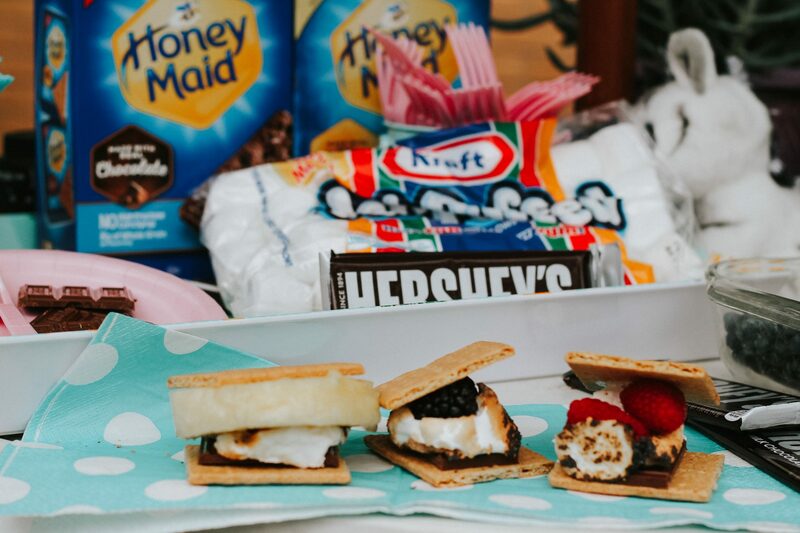 Keep scrolling to get started Creating an Easy Family S’mores Night! 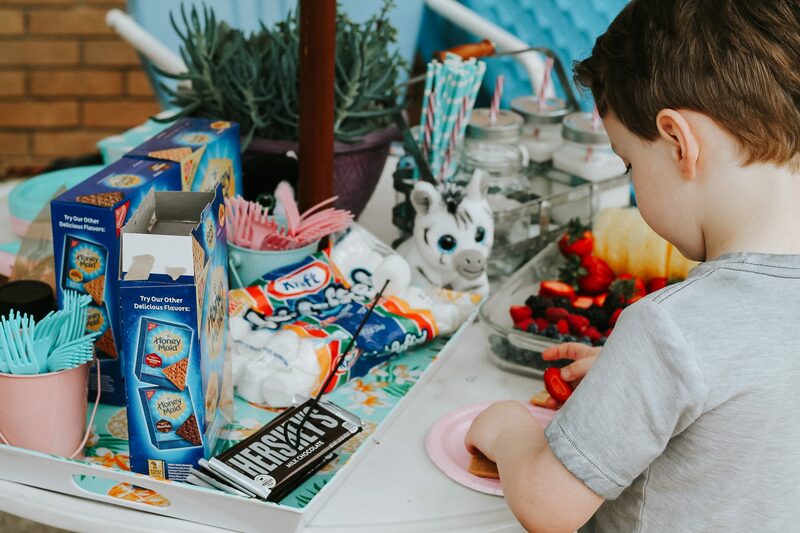 S’mores bring me back to such a nostalgic place from my childhood – one that I enjoy sharing with my kiddos now, too. Gathering together to talk about life, to relax, and just get lost in our own little world, even if it’s for a short while. 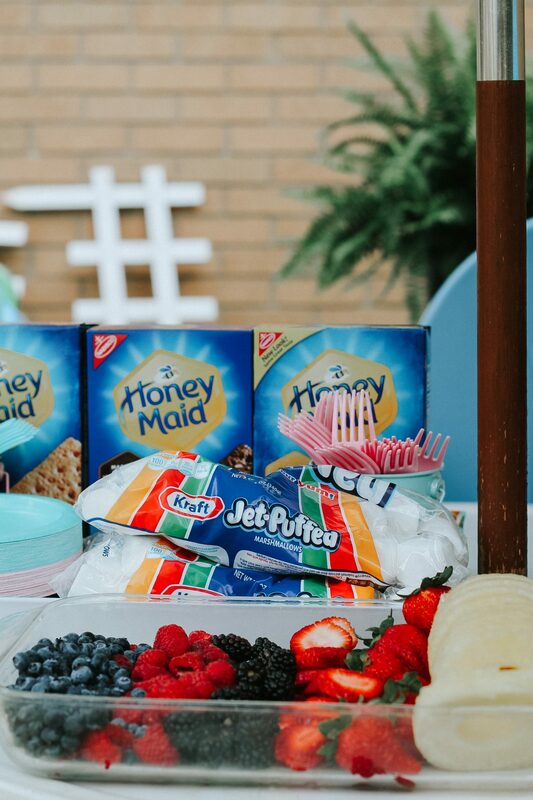 If you didn’t have a chance to make s’mores with your family last summer, make this summer the year to put it on the calendar. I promise you, you’ll be happy you did. 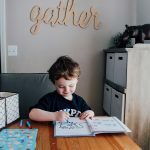 I wanted to put together a post about creating an easy family s’mores night because I wanted to inspire you to do something different and fun to shake up your normal family nights. 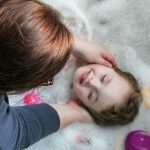 I took great care to ensure that this post would be just as stated, simple – not over the top, not super expensive, and not a lot of prep. 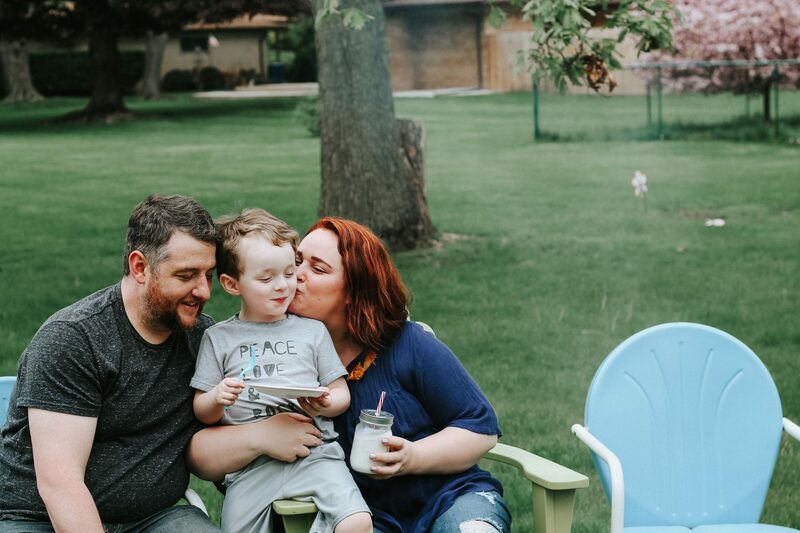 Just a good ol’ fashioned family night to reconnect. 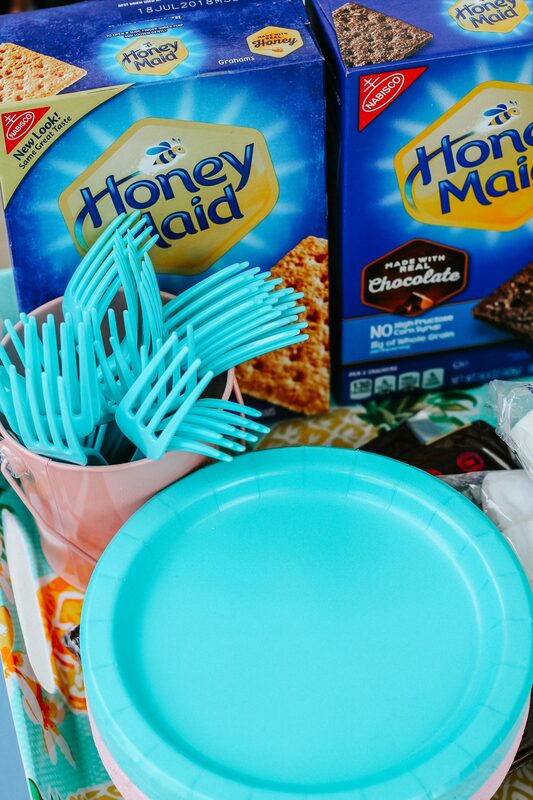 When creating your s’mores night, ya gotta have the essentials! 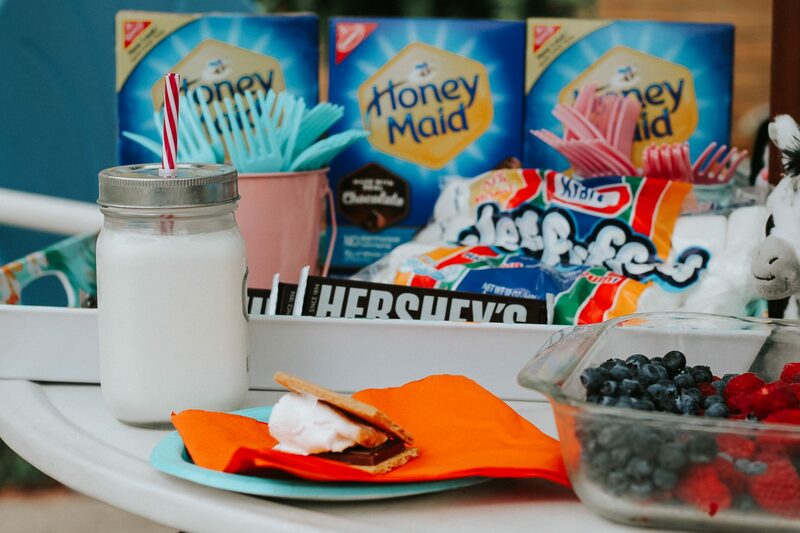 I’m talking the staples of s’mores: HERSHEY’S Chocolate Bars, HONEY MAID Honey Grahams, and Jet Puffed Marshmallows. I picked up everything we needed for our s’mores night at Walmart so we could stay within budget. I found the HONEY MAID Honey Grahams in the cracker aisle and the Jet Puffed Marshmallows near the baking aisle. 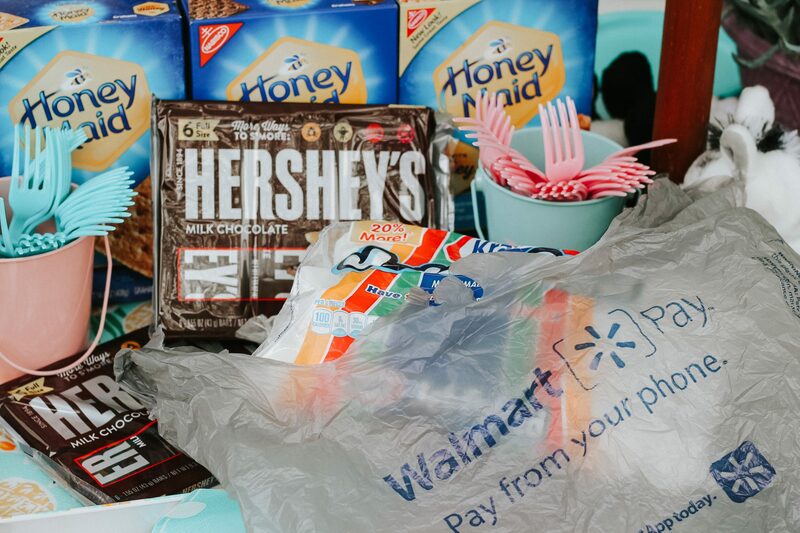 If you’re going to be stocking up on s’mores, be sure Walmart is the place you do it. 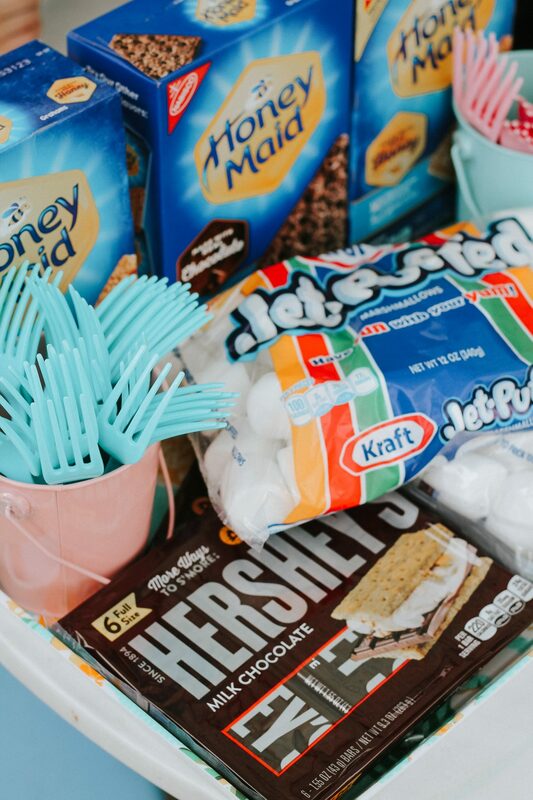 They’ve got everything you need to throw this fun family s’mores night for your loved ones. Not sure where your nearest Walmart is? Use this handy store locator to search for your nearest location! 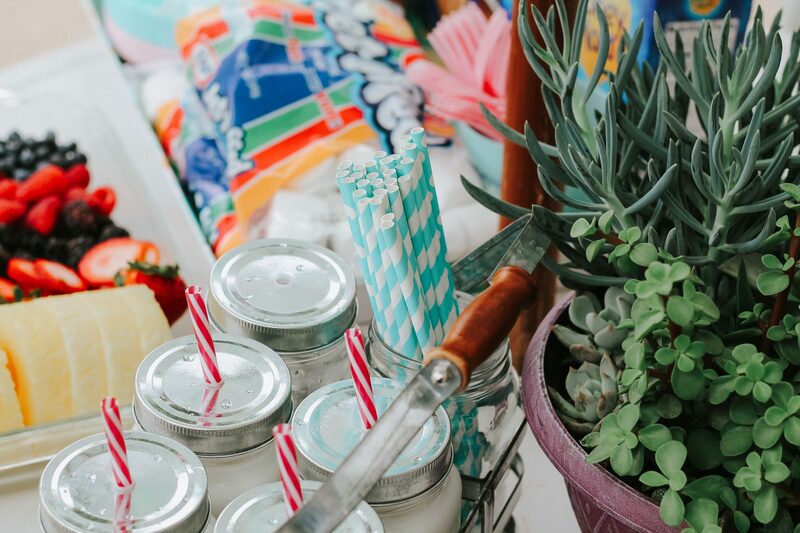 I wanted to create a sort of s’mores bar packed with all kinds of delicious fruit toppings. 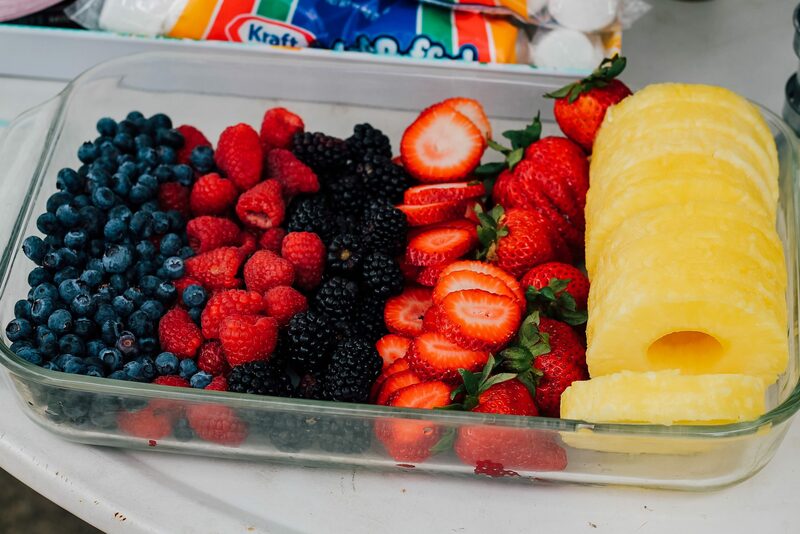 I bought raspberries, strawberries, blackberries, blueberries, and pineapple – because even though most people think of s’mores as just marshmallow, chocolate, and graham cracker – you can really add a whole other level of flavor with fruit! I bought the fruit, sliced the strawberries, and added everything to a large glass baking dish that would be easy to serve out of. I set up the table with some cutlery, napkins, and small plates. 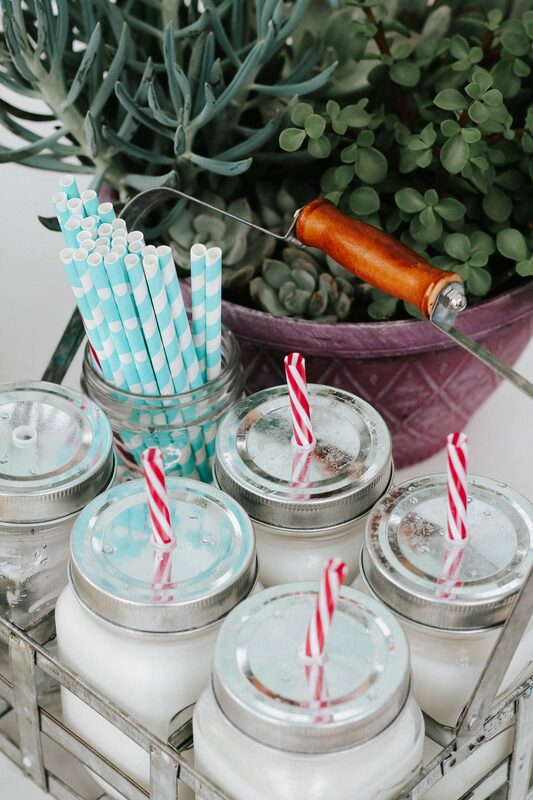 I even picked up a really cute mason jar drink caddy at Walmart so everyone could have a cute glass of milk at the table along with their s’mores creations, too! 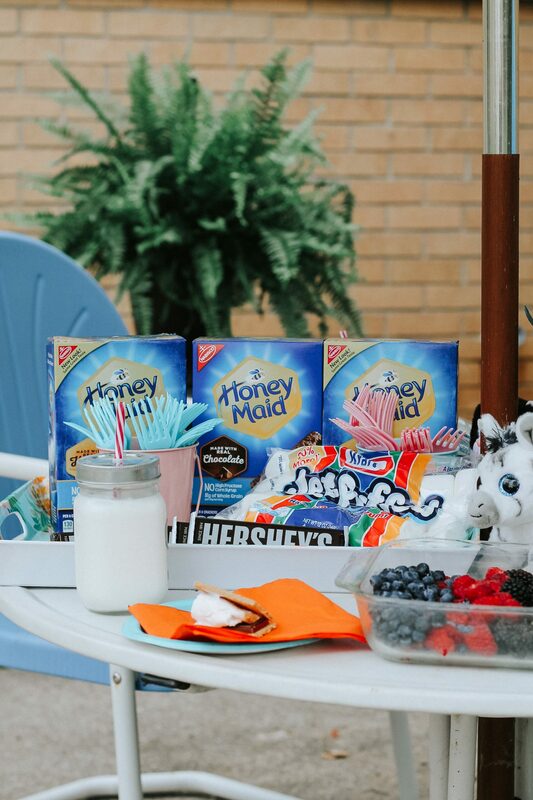 From start to finish, set-up for this s’mores party took just minutes! And it was something my family and I enjoyed together for the rest of the evening. 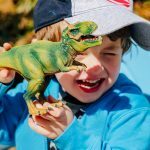 My kids kept telling me how excited they were, and I have to be honest – I was pretty excited, too! 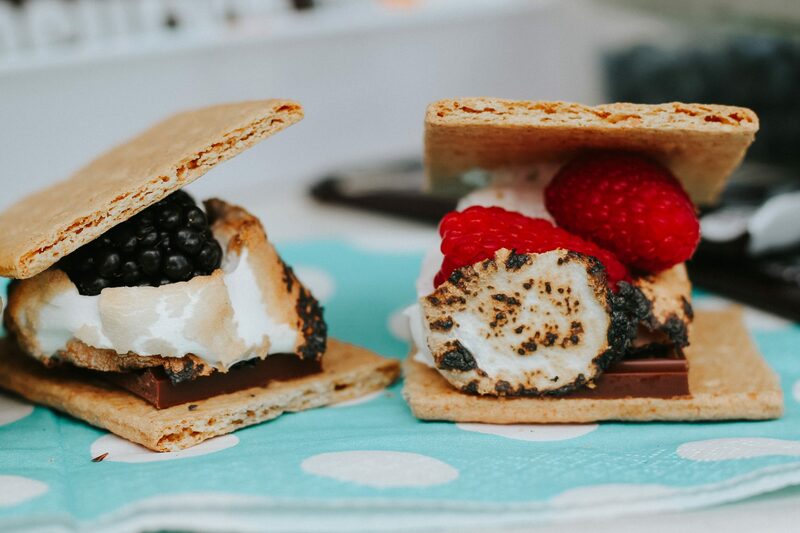 We love eating s’mores all summer long, whether it is indoors or outdoors. After the table and fire were set up, we got to making s’mores! We came up with the best creations! We mixed and matched and came up with new favorite combos, it was such a blast! 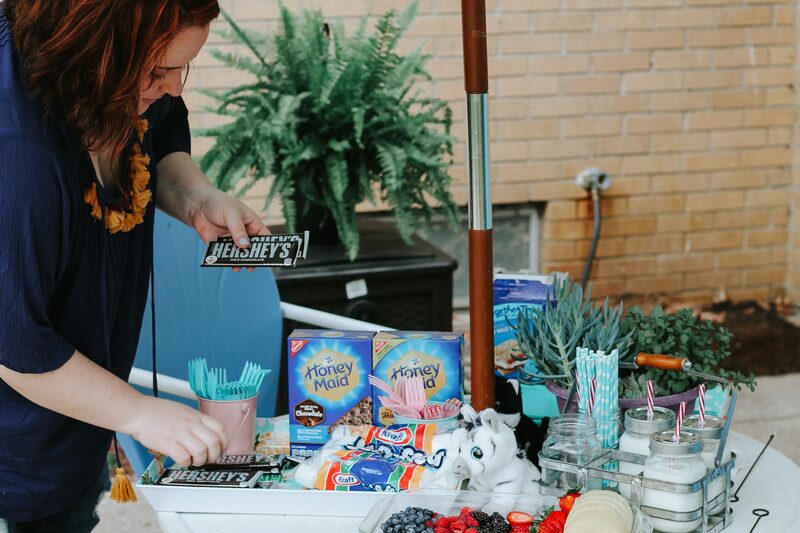 Our favorite combo of the night was adding strawberries and pineapples to the s’mores! 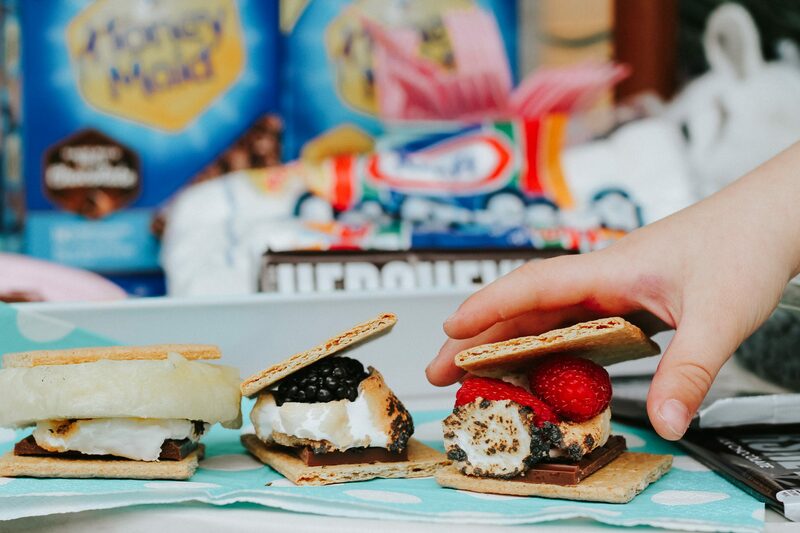 It gave it a kick of fruity flavor that really complemented the chocolate and graham cracker along with the sweetness of the marshmallow! After the table and fire were set-up we got to making s’mores! We came up with the best creations! We mixed and matched and came up with new favorite combos, it was such a blast! 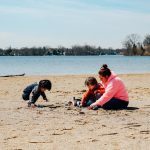 Want to have your own fun family s’mores night? 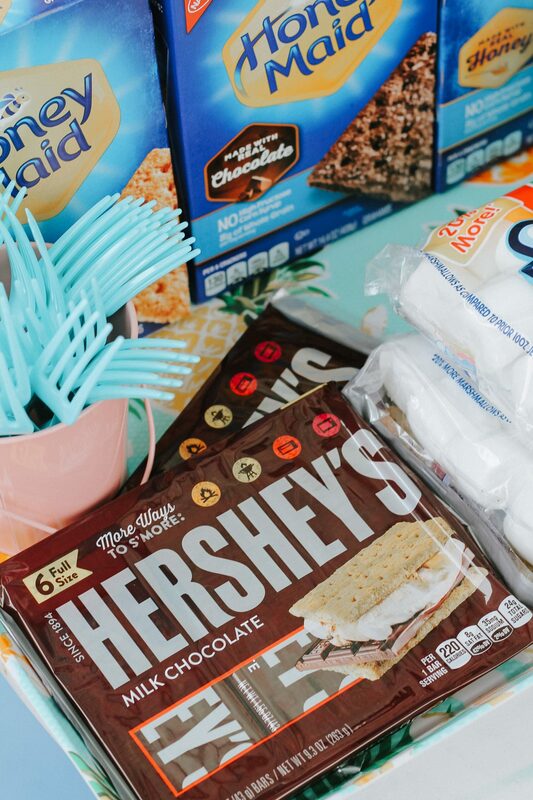 Pick-up everything you need for s’mores at Walmart!